Fireworks? What about fireworks? This was the first Christmas i stayed in the Netherlands and i thought i was in a war zone for about 4 weeks. In my home country we all gather near the river to see the beautiful fireworks at mid night. In here everyone has fireworks and has used it since 20 of December till last week. You can hear real loud explosions, not the small i was used to when i was a child, but really big explosions all the time putting in a frenzy my 2 dogs. Just imagine hearing explosions from 10 am to 12pm for 4 weeks. You cannot see really who is doing it, usually are kids just cycling around and blowing bombs but also stupid adults. 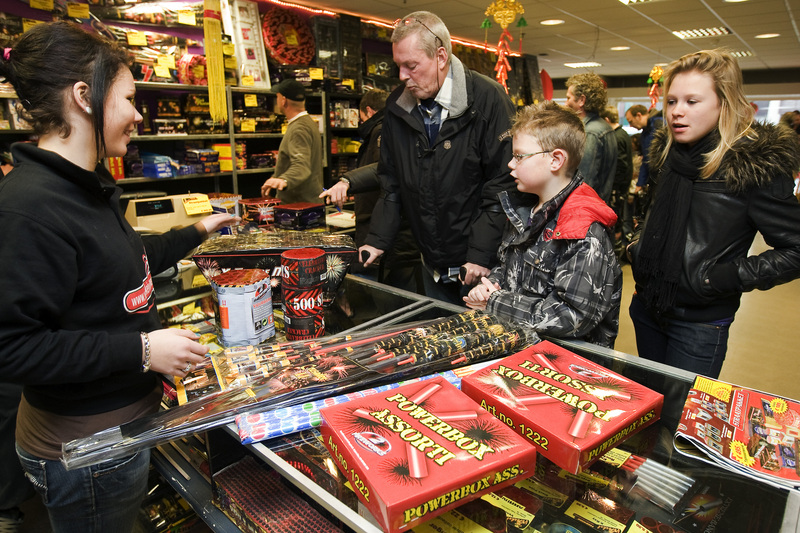 There are really big stores with all sort of fireworks, it is crazy, it is just me or this is just dangerous. They don´t care, they don´t think about the safety of their kids. You see all the time really small children with 4 or 5 years old playing near lakes and other dangerous places. This period is so insane that they warn people to close the mail box with tape. There were kids on Tv that have lost their hands and worst. This is a really a problem in the Netherlands and the authorities are thinking in making it illegal. It was so noisy and crazy that me and my wife decided to make the bags, pick the dogs and go to Belgium to pass the New year´s eve. When we return we were amazed on what we saw. The Dutch are usually very concerned about if everything is clean and they are the first to call your attention with some arrogance if you have made something not according to the rules. When we arrived and went for a walk with the dogs it seemed like a war zone. 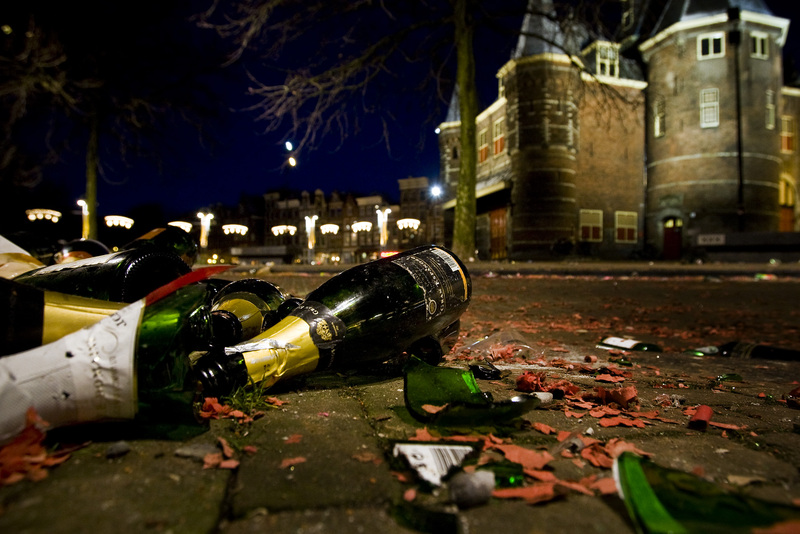 The roads were all red and full of fireworks garbage and bottles and you could see Dutch cleaning, not what they polluted, but there one entrance. That is one of the reasons we pay so many taxes because they are expecting for other to clean their mess. I called the police because we were walking the dogs at night and there were people behind trees at night point fireworks at us almost heating one of our dogs. 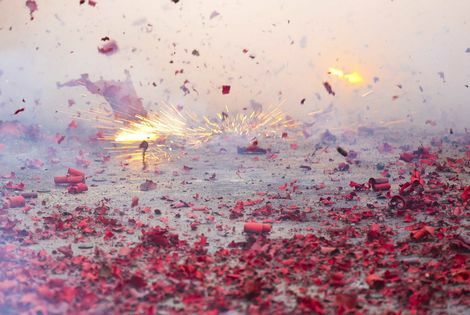 The police said that if i hear it again that i should call them again because not all fireworks is legal , there is a lot of contraband. That is funny, call if i hear anything? Just get out of your police offices and go to the street!! Next year if i am still in Netherlands i will for sure leave again. For me adult Dutch are like children and i live in a big nursery.